Payments 1. All goods remain the property of Raceleathers until successful credit card authorisation, cheque clearance or receipt of UK Post Office Postal Orders. However, goods shall remain the responsibility of Raceleathers until delivered to the customers address whereupon the customer takes full responsibility for any subsequent accidental damage to the goods, however caused. Ensure packaging is intact before signing for a delivery, if the packaging is noticeably damaged write 'packaging damaged' on carriers delivery documentation before accepting the delivery. 2. Cheques require a '7 working day' clearance period, no goods will be dispatched until such clearance period has elapsed. This period shall commence the day the cheque is banked. Raceleathers will endeavour to dispatch the order on the 8th working day after this date or on the next available consignment. (Please note this only applies to cheques, goods paid for by Credit and Debit card or International Money order are dispatched same or next working day.) 3. Cheques must be drawn in Sterling and be from a bank that operates public customer banking in the UK. 4. We accept International Money orders that are made out in UK pounds Sterling, please contact you bank for further details. 5. Raceleathers are not necessarily obliged to contact customers to inform them of any refused credit card authorisation or failed cheque clearance. However, in most cases at least one attempt will be made. Returns policy 6. Raceleathers must be notified of goods damaged in transit immediately after receipt and authorisation obtained prior to return. No replacement or refund can be given without such authorisation being issued. If the packaging is noticeably damaged at time of delivery write 'packaging damaged' on carriers delivery documentation before accepting the delivery. 7. Goods ordered from Raceleathers may be returned for exchange for another size, colour or a refund as appropriate so long as the garment is returned within 7 days of receipt (helmets excluded, see 16). As per the DSR rules, any returns within 7 days from within the UK will be refunded the full amount paid. Returns made after this period will be subject to our approval and may incur a 15% restocking charge. 8. Goods must be returned via a suitably insured carrier that provides tracking and signed for delivery (UPS, DHL, Royal Mail etc. provide such services), this is for your protection. It is your responsibility to pay for all shipping costs involved in returning goods that are not suitable, we cannot be held responsible for items lost or damaged in transit. 9. For goods returned from outside the EEC the following must be written legibly on both the packaging and customs declaration. 'MAIL ORDER GOODS RETURNED FOR EXCHANGE - DO NOT CHARGE DUTY' It is essential that you enclose a note with the goods stating the reasons for return. Otherwise we will be liable for duty charges as an effective importer. Any import duty charged to us on returned goods will be deducted from any refund or charged for if these steps are not taken. 10. For returns from non UK destinations you will be liable for any handling or brokerage surcharges charge levied by the carrier, should they arise. This will be charged to the credit/debit card used for the original transaction or deducted from the refund as appropriate. 11. The cost of shipping replacement goods back to you will be charged at cost. 12. Prior to returning goods to Raceleathers, for any reason, you must contact us to obtain returns authorisation, without suitable authorisation returns may be refused. UK customers please e-mail. Non UK customers please e-mail. 13. Any undamaged goods returned as 'delivery refused by recipient' may, at Raceleathers discretion, require another delivery fee or be subject to a 15 percent re-stocking charge. 14. All goods must be returned in 'as new' original, saleable condition along with affixed labels the box or branded packaging. Please securely wrap the parcel to avoid any damage or the possibility of it splitting open whilst in transit. 15. Raceleathers will provide, on request, a breakdown of any charges levied. Please note: We are unable to provide any breakdown of these charges prior to receiving the returned goods. 16. In the light or our experience helmets pose a major problem when obtained blind via mail order. The variables involved and the variations between manufacturers make sizing remotely a hit and miss affair. As a consequence of our experience with these problems we can now only supply helmets on a non-returnable basis. Realistically this means that you should have at the very least tried on and established your correct size of the model of helmet in question. We accept that if you are unable to, that you will, most likely, purchase your helmet elsewhere. 17. If any provision of this Agreement is held invalid, illegal or unenforceable for any reason by any Court of competent jurisdiction such provision shall be severed and the remainder of the provisions hereof shall continue in full force and effect as if this Agreement had been agreed with the invalid illegal or unenforceable provision eliminated. Delivery 18. Raceleathers shall endeavour to dispatch goods on the same day that they are paid for. Likewise, Raceleathers shall endeavour to dispatch goods paid for by monies other than cheques (see 2) on the day they are banked. If goods cannot be dispatched 'same day', due to circumstances beyond Raceleathers control, they will be dispatched on the next available consignment. 19. Raceleathers cannot be held responsible for delay in dispatch due to unforeseen circumstances. 20. Any refund or compensation for loss prior to delivery will not exceed the purchase price of the goods in dispute. No refund or compensation will be given until the goods are returned to Raceleathers or the carrier has admitted liability for loss or damage. 21. Stated delivery times are those quoted by the relevant carrier and are not absolutely guaranteed. 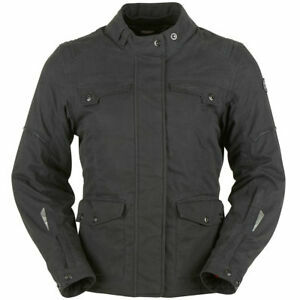 However, Raceleathers will endeavour to assist customers if a consignment is not received within reasonable time. Availability 22. 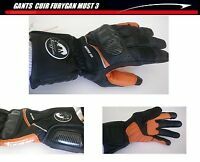 Goods featured at Raceleathers' eBay shop are usually, unless otherwise stated, available from stock. In the event of goods not being available the customer will be informed of the reason and expected delay, the option to proceed or not will then rest with the customer. 23. Raceleathers reserves the right to refuse to supply goods without reason. 24. Raceleathers shall endeavour to reply to reasonable genuine enquiries regarding goods displayed at Raceleathers eBay shop within a maximum of 1 working day. However, unforeseen circumstances may occasionally extend this response time. 25. All sizing advice is given in good faith and as a guide only. It's virtually impossible, for us to match customers with certainty to off the peg garments without first trying them on. There are so many variables, not just size and shape but also personal preferences, riding position etc... It is the customer’s responsibility to establish the correct size prior to ordering. Any returns due to incorrect size shall be subject to our returns policy. 26. Due to the limits imposed by digital reproduction the exact colour of products displayed on this web site cannot be guaranteed. Warranties 27. For practical reasons we are unable to extend our normal warranty to export orders. However, we take particular care to ensure that all products are thoroughly checked prior to despatch. 28. Products shipped to UK destinations are supplied with a 12 month (unless specified otherwise), from date of purchase, warranty against manufacturing defects, this warranty is subject to the item being exposed to reasonable wear and tear. Items returned for warranty will be inspected for abuse before repair or replacement can commence. Any goods we consider to have been abused will be refused. Raceleathers will not be responsible for any postal charges either way in respect of warranties. 29. The warranty will not apply to items subject to apparent crash damage and any other signs of negligent use including any attempt by the customer to modify or repair items. 30. Subject to items under warranty being returned in reasonable condition, Raceleathers, at their discretion, will replace or repair the item. 31. If a product which included a free item is sent back for refund or is exchanged for a different product which is not on offer with the same free gift, the said free gift must also be returned in its original, unused condition. 32. Whilst items of safety equipment are designed to help physically protect you in the event of an accident no warranty of these protective qualities is offered or inferred. Please remember good quality riding equipment does not make you indestructible, however, it should enhance your level of safety if used and worn correctly. Ride within your limits and consider climatic conditions and other road users. Your statutory rights are not affected. Le paiement immédiat de 283,81 EUR est obligatoire.